Gallina Companies - Apartment, Commercial and Retail Rentals in Madison, Green Bay, Appleton, DePere and many other Wisconsin, Illinois and Florida communities. 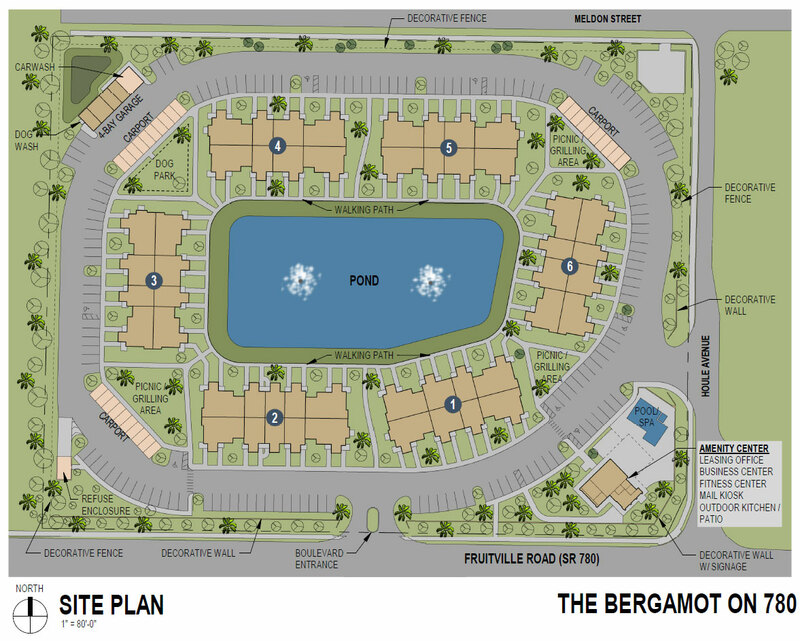 The Bergamot Apartments is comprised of 6 two-story buildings and a clubhouse facility. 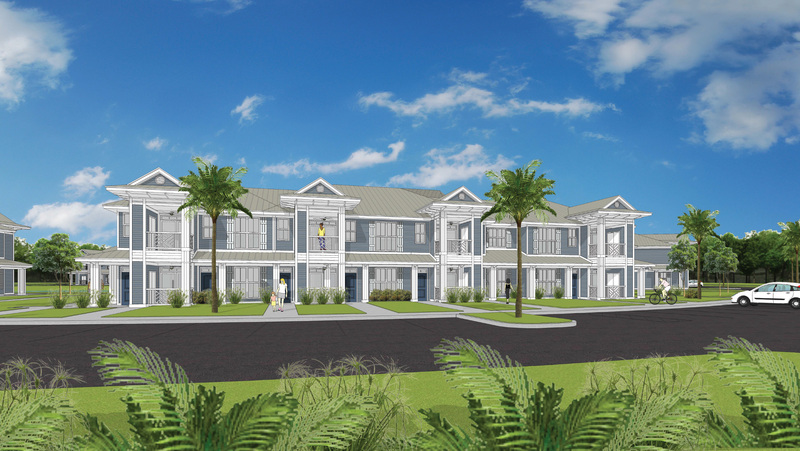 The community will offer 6 two story buildings with 26 studio, 24 one bedroom and 48 two-bedroom apartment homes, all offering private entrances and screened lanais. 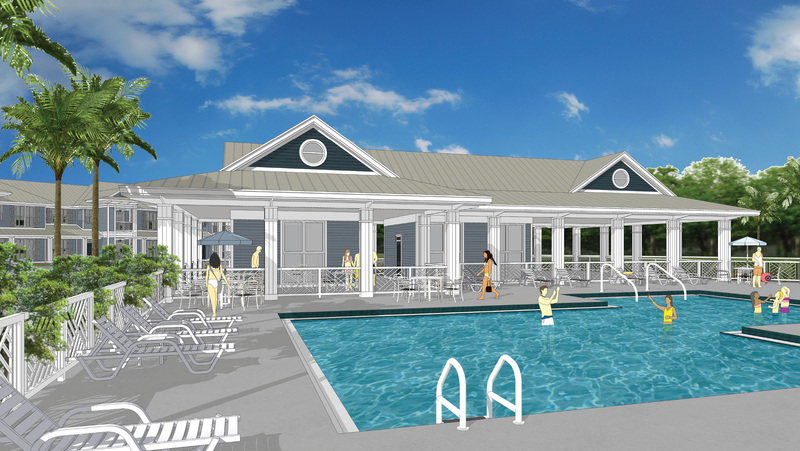 The clubhouse which overlooks an outdoor pool and hot tub, outdoor kitchen and grilling station, will feature leasing offices, a business center, and a fitness center. Extensive landscaping will complement the buildings and screen the exterior swimming pool and amenities, providing residents with a pleasant relaxing atmosphere to enjoy their home. There will be plenty of parking for residents throughout the community as well as garages and carports to choose from. Bicycle parking will also be provided at the Amenity Center. The two-story building facade will have a Key West influence with vibrant colors and metal roofs. The interior finishes are modern upscale including solid maple espresso toned cabinetry, raised panel painted doors and accent walls, granite counter tops, luxurious vinyl plank throughout with plush carpet in the bedrooms. Applications for apartment homes will begin to be accepted this Summer/Fall of 2019. If you would like to be added to our contact list, please send an email to Bergamot@Gallinacos.com. Your information will be added to the list and responses will start this Summer, 2019. Professionally Managed by Gallina Management, Inc. It has been a good six years. I have made great use of the amenities here—from the community room with its coffeemaker, TV, and computer to the fitness rooms and even the halls….I walk them daily. One of the reasons I have been here this long is the high quality of the management at LeSilve. The management team has always been fair, considerate, and pleasant to deal with. The same holds true for the maintenance staff. Come home to this extraordinary apartment community. 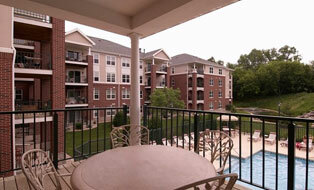 Located in Middleton close to shopping, restaurants and MORE!